When considering which shoes to buy while taking part in an extreme and alternative sport like Parkour it’s very important to make sure you’re wearing the right equipment. This is definitely the case when it comes to purchasing the proper footwear. Without wearing the appropriate shoe, your performance can be hindered considerably. For example, in a sport like Parkour, you are continually moving from one space to another and need the ability to land right during unsteady movements. Fortunately, as the popularity of the sport has grown so has the available equipment on the market. There are many different types of Parkour shoe our there on the market today all you need to do is decide which one works best for you! Related: Best Squat Shoes in Review. View the Best Parkour Shoes, Below. We’ve compiled what we think are the best 10 Parkour shoes out there right now, we’ve gone over their key features and even let you know what we liked best about them. These Skechers Men’s Energy Afterburn are a great pair of sneakers for those looking for the perfect accessory to their Parkour performance. Featuring a leather and synthetic upper body on this Parkour shoe, you’ll be able to move freely in your shoes without having to worry about breaking them because of the leather in their material. We believe you’ll also notice the plush and comfortable feeling when wearing these shoes thanks to the padded tongue and collar. These make a great Parkour shoe as you can quickly get them dirty from whatever mess you encounter on your adventures and they’ll never show up thanks to the darker colored material. 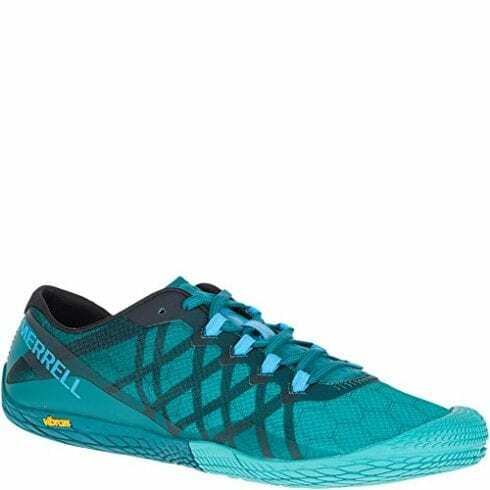 Merrell Men’s Trail Glove 4 Runner shoes are the ultimate lightweight and non-leather Parkour shoe, that’s even suitable for running. These Merrell’s are made from a synthetic and Vibram sole and feature a mesh & TPU upper body which makes them vegan-friendly! You’ll be able to jump till your heart is content in these lightweight Parkour shoes thanks to the trail project pad specially designed to help keep your underfoot maximum protected. 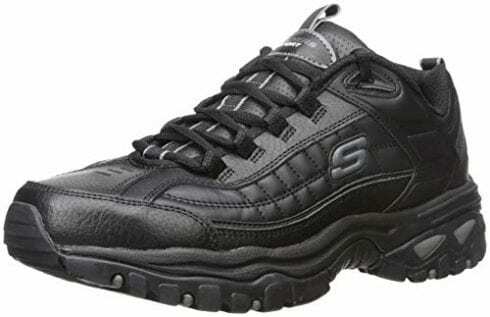 It is incredibly important to wear shoes which give you proper protection when engaging in Parkour and that is why shoes like these are perfect for the job. We loved the old Merrel’s Trail shoes but these really stood out for us for reasons such as the tongue is not more padded as well as integrated into the shoe. This helps provide us with maximum comfort. The Zocavia Mens Sneakers is suitable for your Parkour needs thanks to amazing design, to be quite honest. There’s just so many useful features in this sneaker, it's hard to know where to start. There’s Flyknit material across the upper which creates an ultra-breathable upper body for your foot. There’s also a foot-hugging fit Flyknit which automatically molds to the shape of your food, this helps give you a protective and snug fit. We also loved how light this shoe felt in general which is excellent for leaping across buildings as you get around on your Parkour adventures. We thought these sneakers were great for those looking for some high quality and stylish design in their parkour shoes, that don’t compromise on comfort. 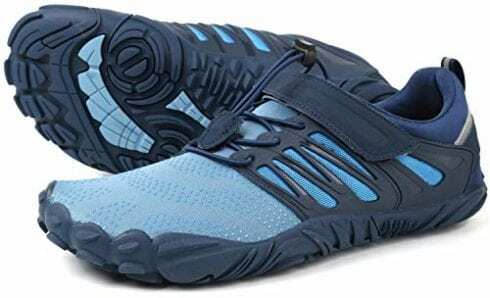 These Dreamcity Men’s lightweight Walking shoes are a great pair of shoes you can quickly get involved with Parkour in. Featuring 90% fabric material which is both breathable and durable with added mesh. Your feet will be able to enjoy natural breezes of fresh air thanks to this material. The midsole on these shoes is also made from incredibly lightweight material which allows it to let your feet bounce-back every time you land heavy. What’s equally great about this shoe in particularly for Parkour is the water grip outsole which means you’ll have perfect traction every time in even the wet and slippery conditions. We loved how lightweight and flexible these Parkour shoes are, for sure. But Our favorite thing about this shoe was how good they are in wet conditions. These Saucony Originals Men’s Bullet Classic Shoes are 100% nylon and make to help get you through whatever Parkour journey you’re about to take. The Original Men’s Bullet also features a rubber sole, a rubber outsole, and a removable insole this is perfectly designed to help keep your feet protected at all times. And the removable insole is great for those who need to change their insoles to something more medically suited for their feet. 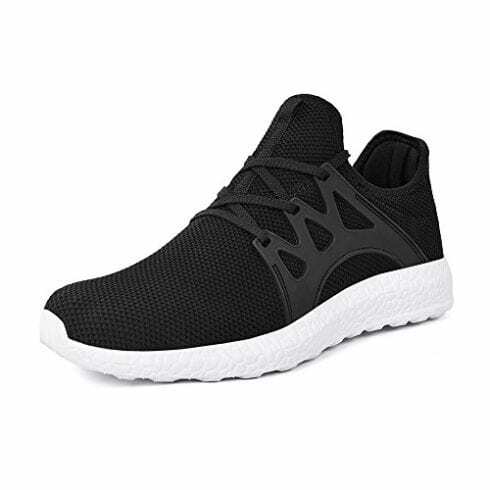 The low profile of these shoes is also perfect for Parkour because of their low profile silhouette and cross country platform you’ll be able to rapidly get through any rocky terrain. They also look amazingly retro. Our favorite thing about these shoes is how amazing they look on. So you’ll be able to Parkour your way through the city in style! These Nike Men’s Roshe Run ’s are another outstanding model from Nike, which we felt really helped our Parkour performance! With 100% synthetic material we found we could quickly move around from building to building with complete ease. There’s also a synthetic sole which is great for helping your foot comfortably land and bounce back up from uneven terrains. We’re huge fans of the classic black and white Nike look don’t get us wrong, but we loved the bold green and white design of these Nikes as they really help you to stand out. There’s even an elastic waistband with a drawstring which allows you to tie the shoe to suit your desired comfort. We loved how durable these Parkour shoes are and how well they stayed looking amazing. Even after using these shoes there was no holes, rips, tears and the pump still looking as if we’ve just purchased them. These New Balance Men’s Arishi Running shoes feature a classic synthetic and mesh upper material combination which is great for allowing your feet to both breath and provide them with enough flexibility to move around. We also loved the fresh foam midsole in these shoes as they provided a superb cushioned ride and are great for any adventure. 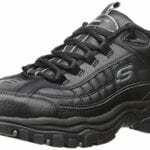 Overall these shoes were built with your comfort in mind. There’s even a New Balance response performance insert amongst the mesh upper of the shoe to help give you even more support. One of the best things about this Parkour shoe has to be New Balances new Fresh Foam sole which really does provide the ultimate comfort with every step you take. 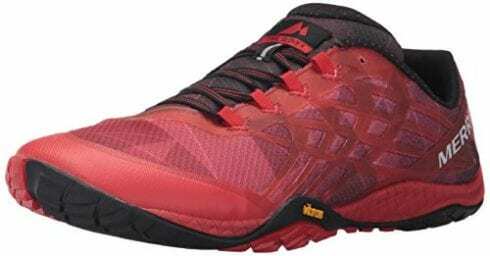 The Merrell Men’s Vapor Glove 3 Trail Runner is a classic Parkour shoe thanks to its synthetic upper and rubber sole you’ll be able to jump anywhere knowing you’re protected and ready for the challenge ahead. The synthetic material features a mesh and TPU upper which is perfect for allowing your food to breath while you get all hot and sweaty. One of the best features of this Merrell Parkour shoe is their renowned Trail project pad which provides the ultimate underfoot protection which is exactly what your foot needs for Parkour. With the underfoot protection, we think you’ll definitely notice a vast improvement in your Parkour performance. This enhanced protection will enable you to jump around freely without having to be concerned about where you place your foot or how the impact may affect you. 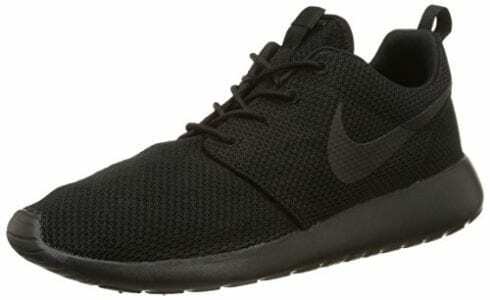 These Parkour shoes are pretty much the comfiest shoes out there. There’s absolutely no time to be wasted by waiting to break these shoes in at all. Just get them out the box pop them on your feet, and you’ll be immediately protected and comforted. These ASICS Mens Gel Rocket 8s will provide you with the ultimate protection from shocks and the impact your feet face daily. These shoes feature a synthetic material to help your feet breathe. Alongside a rubber sole to help protect and provide a comfortable feeling as you get involved with all elements of Parkour. There is even a forefoot GEL cushioning system in these shoes which is brilliant for alleviating the shock many people face when their foot hits the ground. There is also a trusstic system technology implemented in these shoes which is fantastic at helping reduce the weight your feet carry. 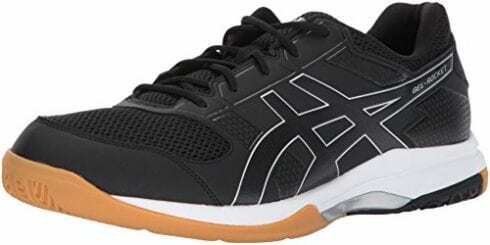 These ASICS really provide you with a supportive and comfortable shoe thanks to its light design and excellent support heel and arch. 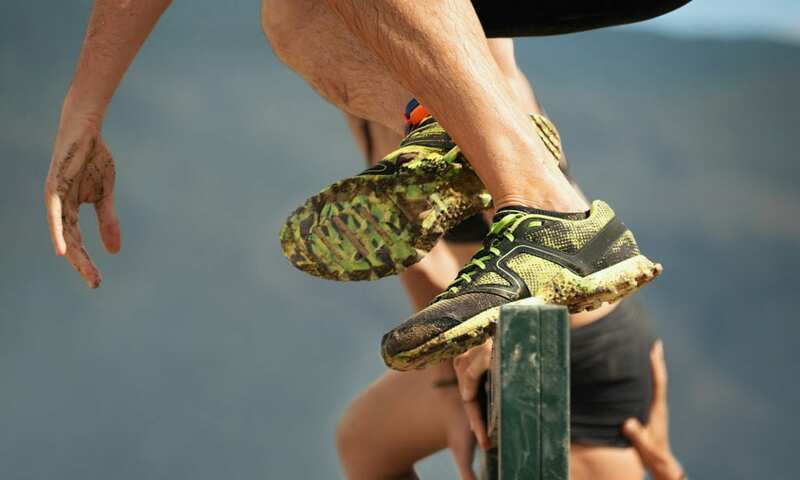 These minimalist trail runners are brilliant Parkour shoes thanks to their flexibility, thin sole, minimal or zero heel-to-toe drop and a wide toe box. This means your feet are as free as possible to move around as normal and engaging the ground naturally. And at the same time, they easily prevent muscle immobility and atrophy. We also love how thin and firm they are which allows for much better feedback from the ground as well as proprioception. We equally love the wide toe box on these shoes which will allow our toes room to spread which believe it or not, helps create a much better balance. There are many benefits to barefoot shoes like these, including strength, balance, posture, and reflexology which form an excellent foundation for our feet where ever we go! 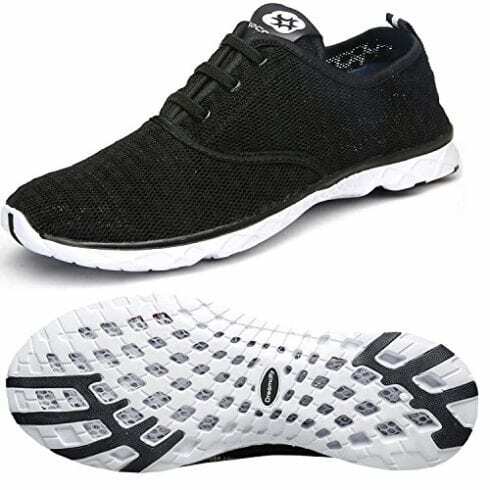 We loved these Parkour shoes because they’re great barefoot shoes which help enhance your natural movement and keeps your strength, balance, and posture. There are many different factors to consider when purchasing a new pair of shoes to practice Parkour in. If you’re new to Parkour or just looking for a new pair of shoes to help you during your adventures you’ve come to the right place. We’ll be going over what we have discovered is essential to finding your dream Parkour shoe! It’s crucial to understand of course that you will have different feet from your friends and whatever shoes they wear are not necessarily the shoes that you should be wearing. Fortunately, there are a bunch of different running shoes out there today. As you can see from the list that we produced Parkour running shoes come in all shapes and sizes, but they all give you those little extra benefits depending on what your feet need. The good thing to know is that it doesn’t matter which pair you buy they’ll always be able to support, comfort and protect your feet while you give the best performance you can give. And we know that any competitive Parkour enthusiast would want to own the best to help them be the best! We know you will have a budget in mind before buying your new shoes but you should be aware cheap Parkour shoes will not help you. Therefore, we would advise either stretching your budget or making sure you purchase a Parkour shoe which is at the top end of your budget. For instance, if you’re going to train a lot your shoes will wear out very quickly, and if you purchase a cheap Parkour shoe then these shoes will not last very long at all, and you will have to buy a new pair sooner than you desired. There’s also a health and safety element to your Parkour shoes and the less you spend on your new pair on Parkour shoes, the less they will protect you! So there you have it, it’s practically medically prescribed by your doctor to invest in an expensive pair of Parkour shoes. With any shoe you purchase in life, you must always make sure the sole is suited for the job you’re going to use your shoes to do. For instance, Parkour is a very extreme and intensive sport, so to protect your feet properly, it is imperative to have the right sole. For example, we recommend a one-piece sole as these tend to last longer and often provide a lot more comfort during the various moves you will make during Parkour activities. Those with many soles inside the shoe do not tend to last as long, as they are not designed to withstand a lot of jumping around and they are merely glued together. Over time the impact of a sport like Parkour will break down the glue which holds the soles together. And let us tell you, broken soles while you’re trying to run and land across uneven surfaces is an absolute nightmare. Not only is it pretty inconvenient to try and run while your soles are broken, but it can also be incredibly dangerous, and they can even lead to injuries. Just as the one piece sole offers more protection, thicker soles provide you with even more cushioning and this can help with your balance as you move gracefully between building to building. When assessing the soles of your new shoes, it’s also important to think about the compound or in other words the make of your sole. Rubber soles are perfect for Parkour enthusiasts as they’re generally manufactured to last long and increase your grip. Other softer soles are more likely to wear away quickly and not provide as much grip. On the other hand, other harder soles often impede your ability to jump further. 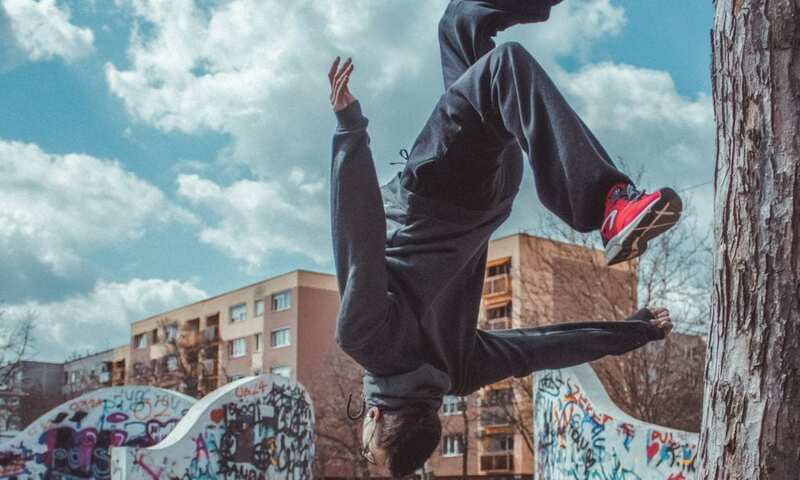 Another important factor when buying a Parkour shoe is to make sure the material it is made out of is flexible enough to move with your foot, as it leaps through the hair and hits the ground hard. If your Parkour shoe is not flexible enough, you will definitely run into some problems. However, you must also make sure it is still sturdy enough to provide support to your foot without hindering its flexibility. 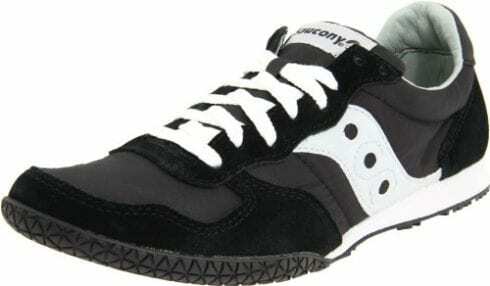 Most Parkour shoes out there today are designed to allow movement in your foot while still providing adequate support. But it’s always important to keep this factor in mind when trying on your Parkour shoes! It may sound pretty obvious but how much you and your shoes weigh can affect your performance in Parkour. Unfortunately, Parkour shoes are often slightly more substantial than usual running shoes as they need to be to help minimize the impact of running and jumping on your feet. There are lightweight options in Parkour shoes too, but it’s best to try them on. Once you try on your Parkour shoes, you will know how much weight feels comfortable enough to secure your feet without weighing you down. Just as the weight and sole effect your Parkour performance so does the arch in your shoe. For example to land perfectly or at least safely, in Parkour it is essential to have the right shoes that compliment your arch and help support you as you fall. The arch is situated where the shoes grip the ground the most. Therefore if you want to land properly without losing your balancing and causing injuries, you will need to make sure you get a shoe with an arch that supports your foot’s natural curve. Parkour was originally developed by the French in the 1980s and then later popularised by movies in the late 90s and 00s! There are many other different accessories for Parkour that can really help your performance this include, but is not limited to, items like hats, sunglasses, and backpacks! We hope you enjoyed our article on "10 Best Parkour Shoes in 2019", if so, please share and rate it.